The ink wasn’t dry on the results of the 2018 Vermont elections before the Democrat-led pro-abortion, super-majority announced that they would push for implementing an extreme abortion agenda and work to “enshrine” in Vermont law the right to abort unborn babies. In fact, now that the Democrats have won a veto-proof majority in both the House and Senate, the way is clear for passage of their abortion agenda. Senator Balint also suggested that the Senate Democrat strategy may include a proposal to amend the Vermont Constitution in order to ensure that a so-called “woman’s right to choose” is protected decades into the future. In Vermont, amending the Constitution is a process that is rarely used and requires at least five years to fully accomplish. If initial legislative steps are taken, there would be a statewide ballot initiative requiring the support of a majority of voters to be successful. Even should Roe v. Wade be overturned or substantially trimmed back, Senator Balint is ignoring the fact that a Vermont Supreme Court decision in 1971 (Beecham v. Leahy) legalized abortion before the landmark U.S. Supreme Court ruling in Roe v. Wade. In the Beecham v. Leahy case, Vermont’s law that protected unborn babies from abortion until that time should have been defended by then State’s Attorney, Patrick Leahy. Now a United States Senator, Leahy describes in his own words on his web site the fact that he offered no legal defense of the pro-life statute. Leahy essentially stepped back and allowed the case to be decided in the affirmative. The case legalized abortion with no parameters whatsoever – not even that a licensed physician be required to perform the surgery. In addition, the legislature recently stripped out all the pro-life language that prohibited abortion from the Vermont Statutes, despite its being unenforceable, as additional insurance protection for keeping abortion legal here. Even though the effort was largely meaningless, it was on Planned Parenthood’s “legislative wish list” and the pro-abortion majority granted that wish. Abortion is legal in Vermont throughout all nine months of pregnancy with no regulations or restrictions on its practice. Not a single one. Rep. Jill Krowinski (D-Burlington) is a prime example of how cozy the legislature is with Planned Parenthood. 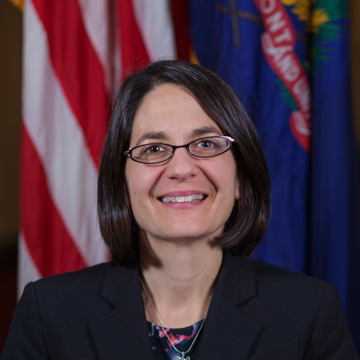 Krowinski used to work for Planned Parenthood as Vice President of Education and Community Affairs. She is now Vermont House Majority Leader. In some states, a former Planned Parenthood official would be hard pressed to win a legislative seat in the House or Senate, never mind promoted to Chair of a hospital Board of Trustees (like Allie Stickney). In Vermont, however, connections to Planned Parenthood earn you a kind of warped badge of honor. However, if lawmakers do take up the question of abortion rights, they had better be prepared to answer tough questions from pro-lifers about parental notification, late-term abortions, fetal homicide and taxpayer funding – to name just a few areas of concern.